This stunning jewelry is hand made in France, copied from early 1930’s works, and is sure to complement any outfit from any period. 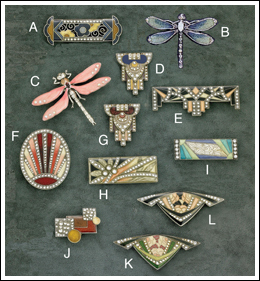 The pins are enamel (glass and crystals) over silver-plated or plain brass with protective clear finish. 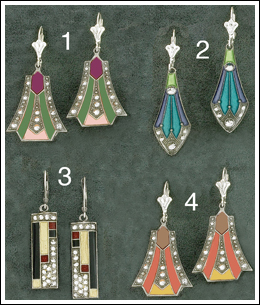 Earrings have silver wires. All pieces come boxed.